Singapore is one amazing place, which has almost everything; wonderful weather for most parts of the year (some might disagree), rich and diversified culture, and a bit of everything from the world. For a foodie like me, the absolute pleasure of living in Singapore is intensified by the vast variety of cuisine choices it offers! From Malay curries to Turkish kebabs to Italian steaks; from Indian and Chinese food to British Fish & Chips; from Pakistani barbeque to Indonesian food! I define it a sin not to go out and experience all these new cultures through our taste buds! To me, this is true cultural enrichment! Being an important centre of South East Asia, Singapore has many options for Malay and Indonesian food. My own introduction to Indonesian cuisine was through my Indonesian helper, and a spicy curry she cooked in her first week with us. Being a spicy-food-person, I absolutely loved it, and since then, her dishes are a permanent fixture in our regular meals. Having my taste buds provoked, I went out tried various Indonesian restaurants, enjoying most of them. So when I heard about the recent opening of Halal-certified IndoChili, my intuitive (and impulsive) response was … let’s go now! To avoid weekend-rush drama, we chose to go on a weekday, which surprisingly, was of no use! At around 1pm, the place was packed! Our first impression? Definitely that there has to be something about the place to attract so many people. It is recommended that a reservation be made a day in advance as far as possible, as the 60-capacity restaurant gets filled quickly. 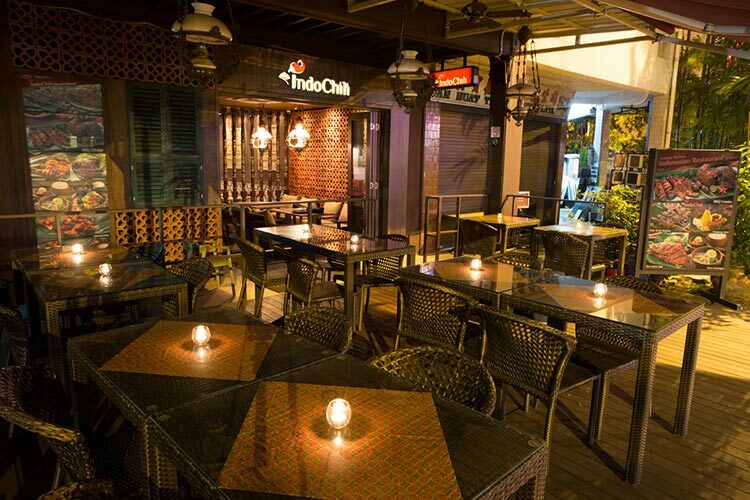 IndoChili is rather centrally located, at the stretch of shop-houses opposite Great World City, making parking a breeze. While there are several buses that frequent the area, the closest MRT station is a bit of a walk away. The overall ambience of the restaurant is casual and comfortable, laid-back and chill. The woodwork décor and traditional motifs on the walls subtly put customers into the Javanese mode. The menu at Indo Chilli provided an extensive range to choose from. Strongly driven by serious hunger pangs, we quickly selected our lunch, but had to wait a long time for it, thanks to the rush hour. 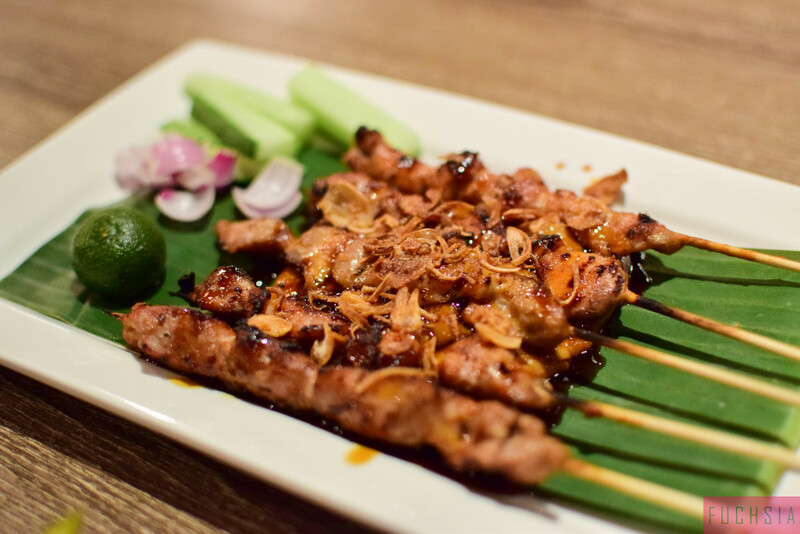 Sate Ayam Madura – There were plenty of fried appetisers and soups to start with, and we decided to go with traditional Indonesian sate. The well-known meat skewer was charcoal-grilled to perfection, bringing out a lovely grilled aroma and juicy chicken flavours. The sate was dressed generously in tangy peanut sauce and sweet soya sauce, which tasted a little too sweet for my liking. Nonetheless, the meat was tender and juicy. The platter was served with fresh vegetables and chilli sauce. An absolute delight, and a MUST TRY. Bakwan Jagung – These were yummy fritters made from corn, flour and shrimp, and were declared the highlight of our lunch. 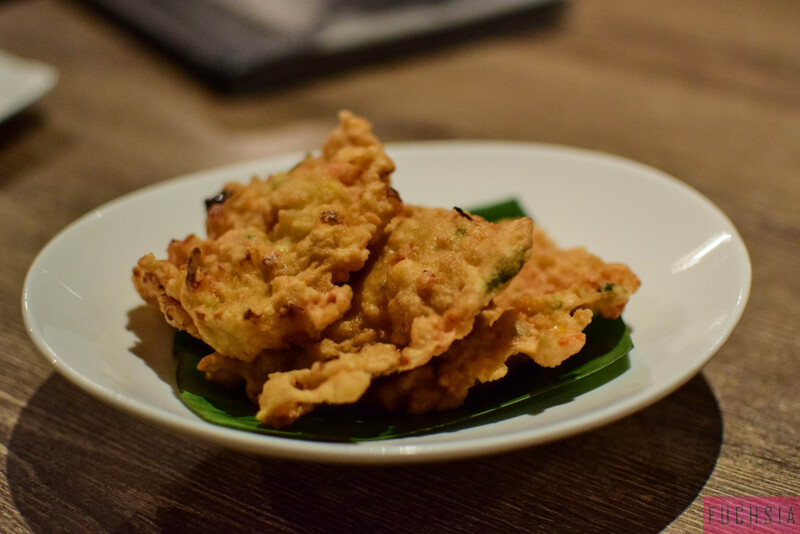 Fried but, at the same time, very light, crunchy and juicy, there was hardly any spice in the fritters. However, dipping them in the sauce made them an absolute delight! One dish I am going back for. Kagang Panjang Balado – This dish of fresh green beans cooked in chilli and shrimp paste was nicely-spiced and crunchy. I ended up finishing them up with a fork directly from the serving dish! 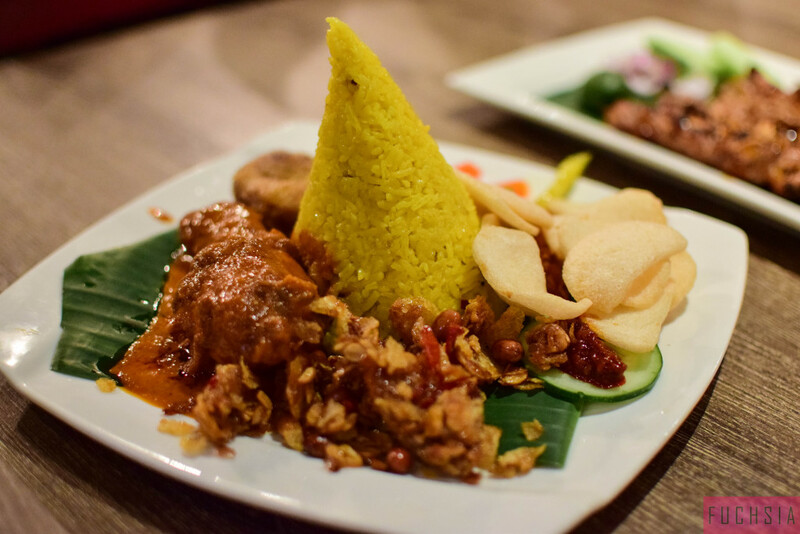 Nasi Tumpeng – This was a colourful and beautiful platter served with an assortment of crackers, vegetables, yellow rice, potato cutlets, spicy chicken, peanuts and pickle. Since I had never tried this dish before, I found it an absolute surprise! Through a discussion with an Indonesian friend, I got to know it is an Indonesian delicacy, and a dish cooked on special occasions. IndoChili also caters this special dish in various sizes and choice of food items for special celebratory occasions. The chicken served in the Tumpeng Mini was spicy, with a little bit of sweetness. Not too bad, but the aftertaste was sweet, which I didn’t love. Many of us sub-continentals do struggle with the tendency for Malay/Indonesia food to be a mix of sweet-and-savoury, as it doesn’t tickle our fancy. The deed-fried potato cutlets went very well with the dips served. The yellow rice was coconut-flavoured, and the aroma was lovely, making it very authentic as an Indonesian rice dish. 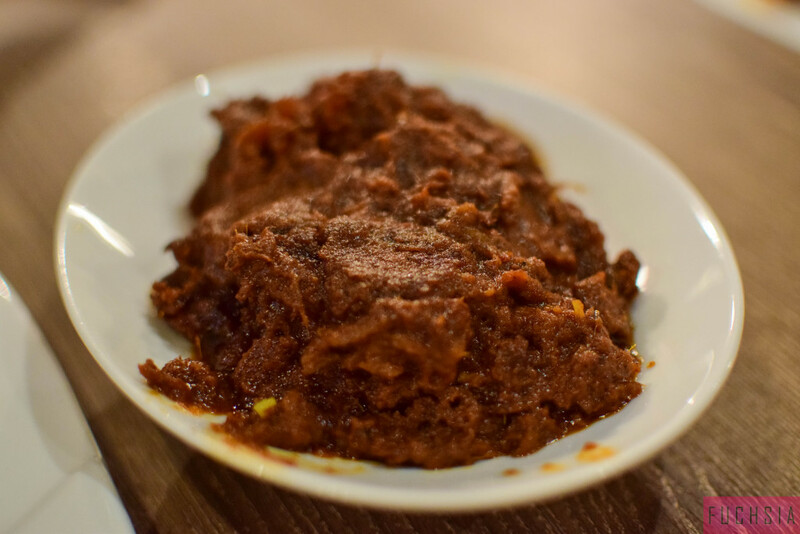 Rendang Sapi – I will not be wrong in ranking this as the best dish of the day, and beef-lovers must not miss it. The beef, which had been slow-cooked for 4 hours was richly spiced, juicy and succulent. The light charcoal aroma left an amazing after-taste to the dish. This was delicious with the yellow rice. 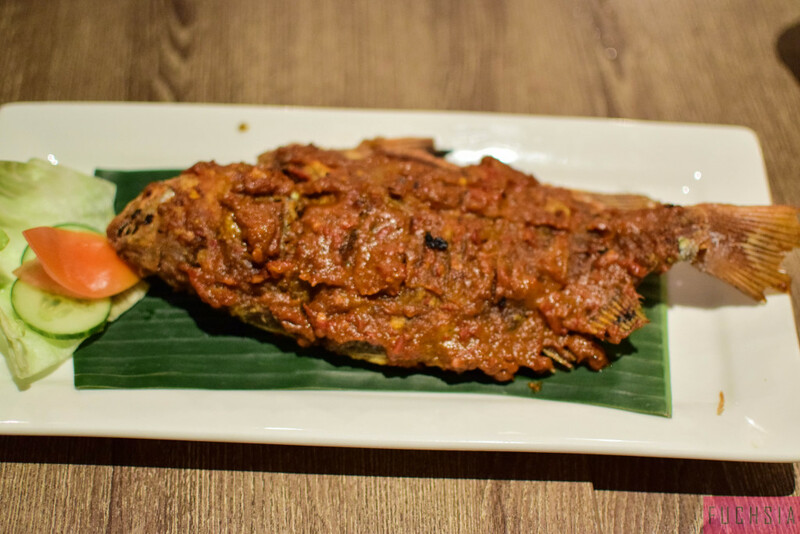 Ikan Bakar Bali – This grilled snapper slathered in sweet-and-spicy sauce was not the most exciting selection. While the fish was well-cooked and moist, and did not carry a fishy smell, the too-spicy sauce was over-powering. 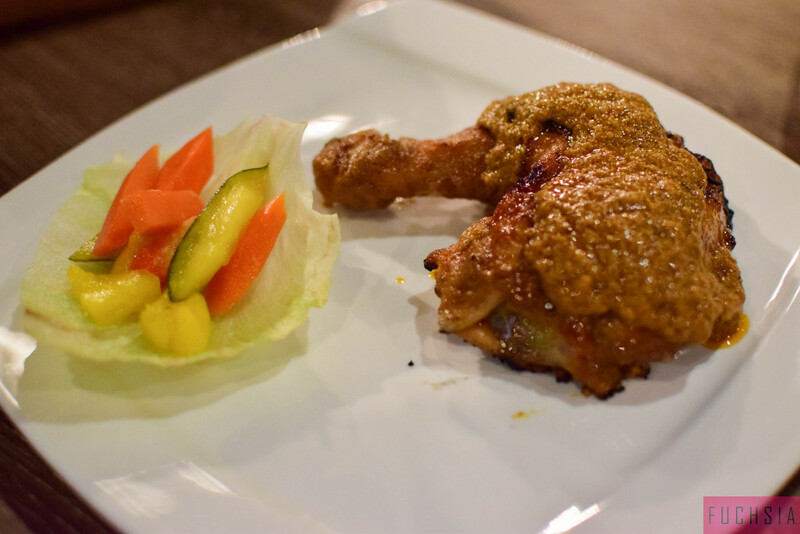 Ayam Panggang Padang – The Padang-style chicken curry was cooked in coconut milk, and was bursting with spice! It was a tasteful dish, but a heads up, please, for people who are not accustomed to spice. This, too, went very well with the rice. After such a spice-screaming meal, there was definitely a need for some dessert. 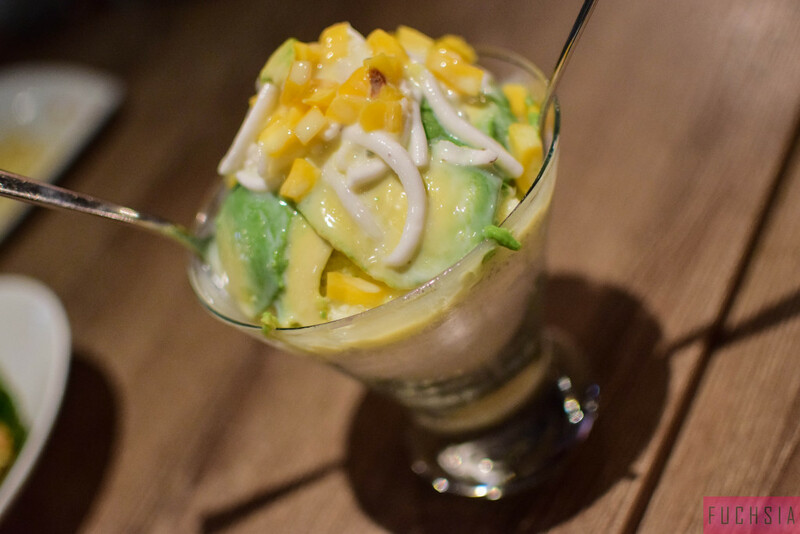 Es Teler – This was a unique blend of assorted coconut, avocado, jackfruit and mango in a milky ice-blended mixture, which was less sweet, the way I like my desserts generally. Somehow, this dessert did not excite me. 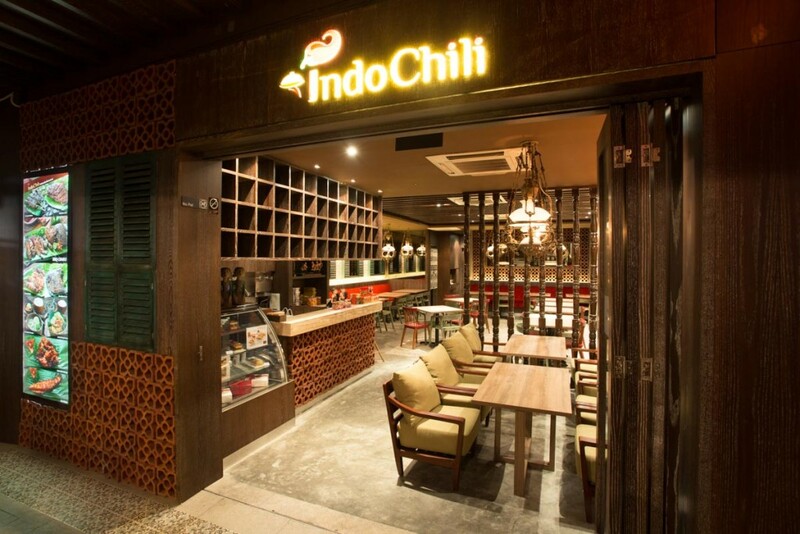 VERDICT IN A NUTSHELL – Overall, IndoChili was a very good dining experience. It cannot be ignored that the service was far too slow, even if it was a busy time. As a customer, I shouldn’t have to wait so long, and still have to ask the waitress time and time again for the essential items meant to come together as a complete assortment. Apart from that, the menu has something for everyone – from yummy fried appetisers to charcoal-grilled meats, from plenty of seafood to unique vegetarian options – and all for a reasonable price at $20 per person. All in all, IndoChili provided an authentic Indonesian food experience. Kiran Khurram confesses to being a shopaholic and watching Friends almost daily. She is stuck in the '90s, and likes to believe Pakistan’s cricket team is still doing wonderfully well. Kiran collected twelve years of generalist Human Resource experience. A Master in Public Administration, Kiran plans to return to full-time work once her 7-month-old daughter starts school. Read more about Kiran in Contributing Writers.